Introducing the revised and upgraded IP65 rated downlight range. Introducing the revised and upgraded range of IP65 rated downlights. A select range of our existing downlights have been re-engineered and upgraded to now feature an improved ingress protection rating of IP65. This new ingress protection rating enables these fittings to withstand low pressure water jets, making them ideal for installation in wet areas. 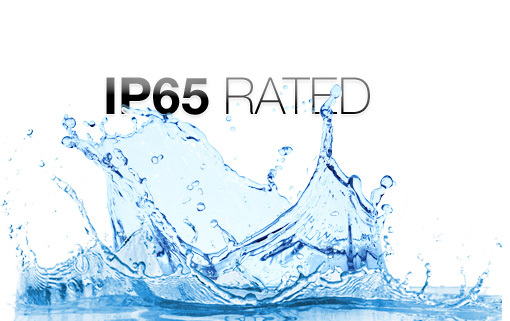 The following products have been upgraded and now feature an IP65 rating, click here for other IP65 rated products.